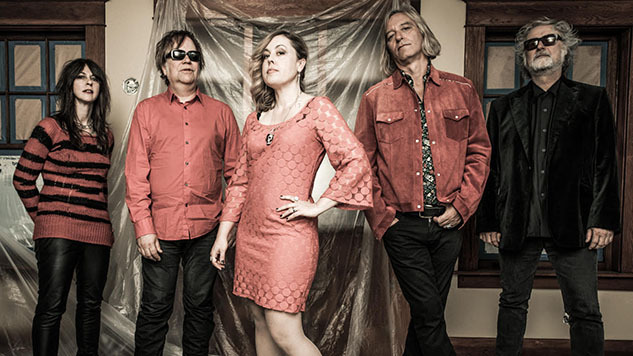 Filthy Friends, aka Sleater-Kinney’s Corin Tucker, R.E.M.’s Peter Buck, and Scott McCaughey and Kurt Bloch, are back with a new single titled “November Man,” from their forthcoming album Emerald Valley, out May 3 via Kill Rock Stars. The fuzzed-out new track takes its hits at a certain commander-in-chief, with Tucker’s signature vocals commanding its cautiously optimistic message forward. Get to know “November Man” below, and keep scrolling to check out the group’s 2017 visit to the Paste Studio and upcoming tour dates.